Lately I’ve been watching the birds on our deck; we sometimes have breakfast together. This is the season of big bags of birdseed in the kitchen and suet cakes hanging on a pole outside – necessary in the winter and safer for us to offer the birds who haven’t migrated because the bears are hibernating now. It’s amazing to notice the varieties of coloration, size and shape of our visitors, especially the different woodpeckers who hack away at the suet with a vehemence that would surely give me a headache. Clearly the word is out there that this is the best place to get a good meal because they grace us with their presence every day. From the tiniest finch and titmouse to the graceful flocks of mourning doves they know they’ll find a welcome here. I smile this morning at Psalm 84, one of my favorites, in part because of the birds. How lovely is your dwelling place, O Lord! My soul yearns and pines for the courts of the Lord…Even the sparrow finds a home and the swallow a nest in which she puts her young…Blessed are they who dwell in your house! Continually they praise You. 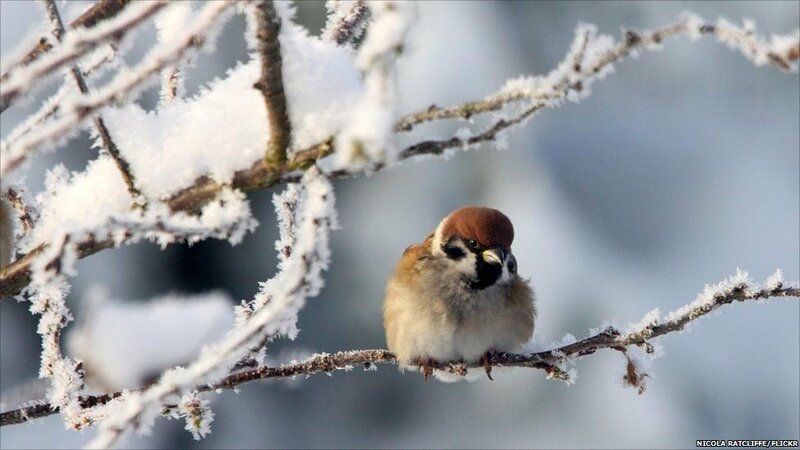 Even in the winter when berries and other delicacies are hard to find, when the trees are stripped of their leaves and the wind makes flying a challenge, the birds find crevices and bird houses and the dried grasses for shelter. Such is the care offered the birds by humans and their land. So tender and loving is the care of our God for us.